Leaves every afternoon all year. 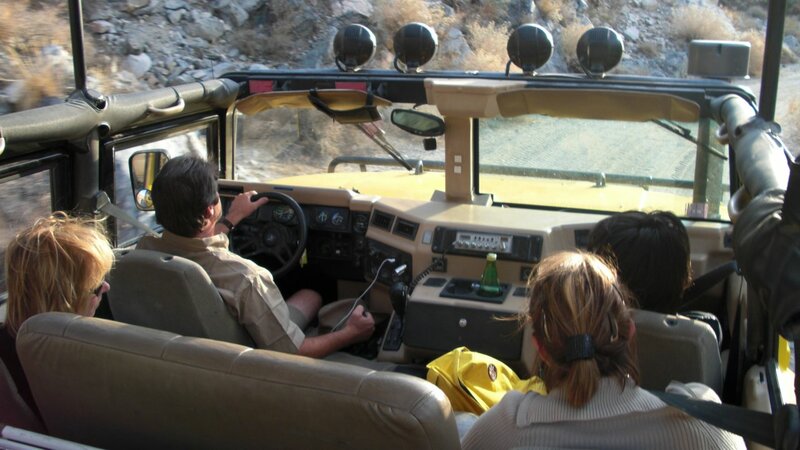 This is our famous open air miliatry Hummer adventure into the Canyons of the San Andreas Fault. Our expert geology guides will bring you far from where other Jeeps dare to go and reveal the amazing tortured earth where two tectonic plates meet. Walk over a bridge that straddles fault with your guide in the 3rd largest Oasis in the world! This is our 3 hour adventure into the mystical Canyons of the San Andreas Fault at sunset so we can watch the rocks turn gold, red and orange in the last light. We will take you far from where you can go on your own - on a goldmine trail to where you will encounter some of the oldest canyons on the planet - over 2 billion years old! That is the same age as the bottom of the Grand Canyon. Here you will see historic gold mining areas and enter a place time has forgotten. Wildlife is often encountered including the Nielson Bighorn Sheep. Eagles sour high above. We take you higher into the Canyons of the San Andreas Fault then other local tours with our special equipment and permits. This let's you travel with us far from the noise and confusion of the city into amazing scenery with an expert geology guide. Walking shoes, camera and a smile. Also between Nov and Feb we recommend warm clothing. **A Military HUMMER- the best offroad vehicle in the industry! 1.) Begin with an adventure into the Canyons of the San Andreas Fault. We will journey into canyons formed by the most powerful faultline in North America. 2.) We stop at the 3rd largest Oasis in the world to walk over the San Andreas Fault on a bridge. Water literally gurggles out of the ground. 3.) Step inside a cabin built by one of the first settlers of the area. 4.) 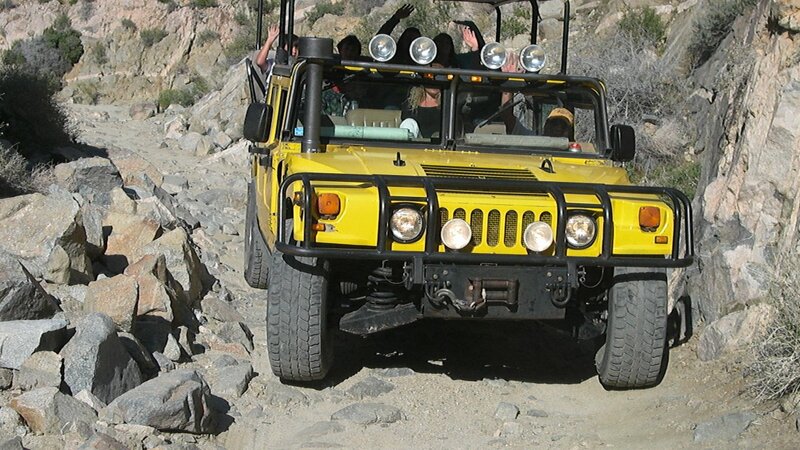 Travel along an old goldmine trail that rises some 2000 feet above the desert floor. 5.) 1 hour is spent off the Hummer for optional walks and photos. 6.) We provide water and a snack. 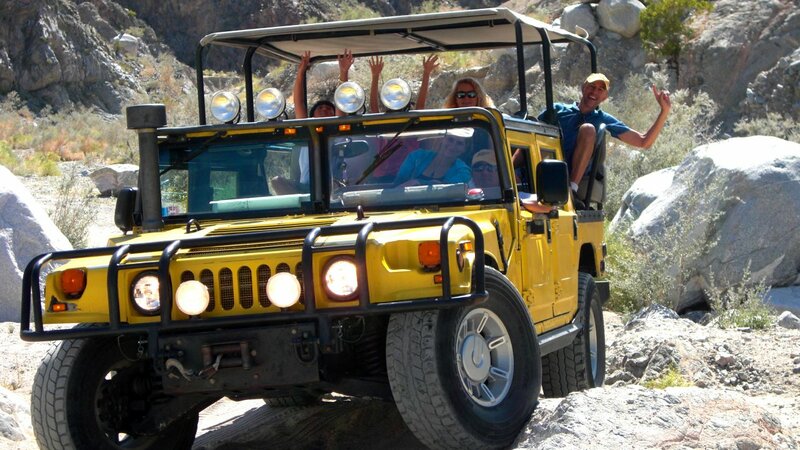 This tour leaves from all major resorts in the Palm Springs area. If your resort is not one of our partner hotels, please come to our main pick up location in Palm Desert. Also check out our DELUXE tour called the Joshua Tree Adventure. It leaves every morning and afternoon. 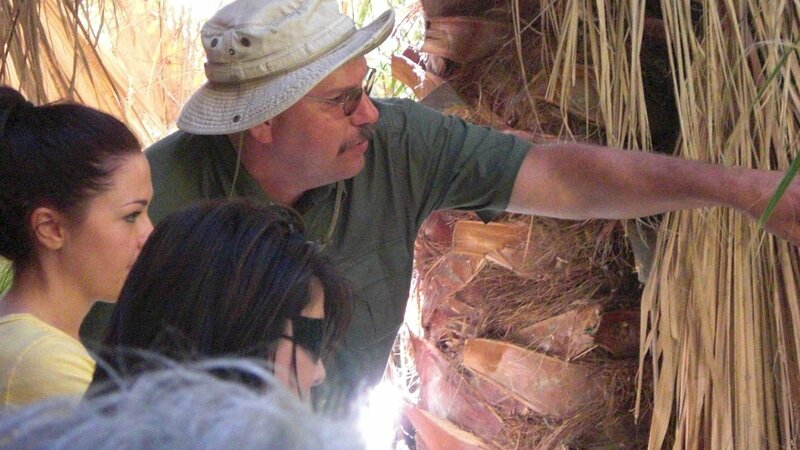 It includes everything in the San Andreas Fault tour AND includes a trip into Joshua Tree National Park. Click here for details. No refunds within 24 hours of the tour date and time.